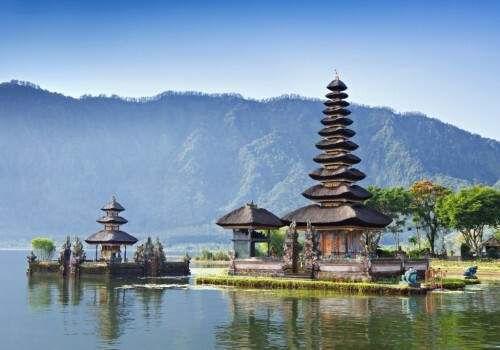 Cheap flights to Indonesia: Jakarta for only €365! Emirates now offer great prices of flights to Indonesia in cooperation with local airlines. 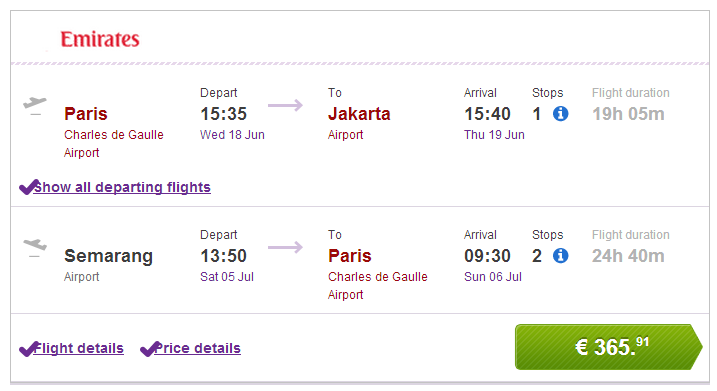 Multicity tickets Paris-Jakarta/Semarang-Paris are available for only €365! Semarang is located on the same island approximately 450 km away from Jakarta. Travel dates limit departures to May and June and then September 2014. Book via BudgetAir (click on Show extra search options to enter return from Semarang). « Luxury Hotel in Amsterdam: 4* for €26 per night!